When you’re hungry – really hungry, you need a big meal. 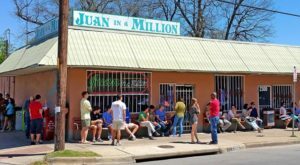 You’ll find it at Juan In A Million, a family-owned, community-minded restaurant located in East Austin. 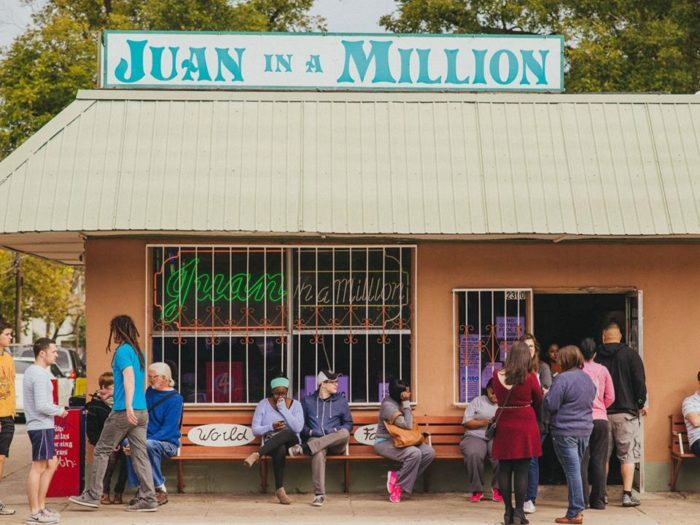 Juan In A Million opened in 1980, and it’s been serving up incredible Mexican food ever since. 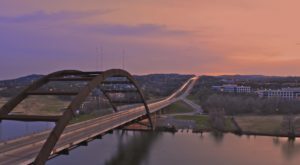 You’ll find the restaurant at 2300 E Cesar Chavez St, Austin, TX 78702. 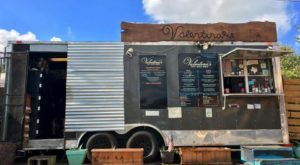 Owners Juan and Myrna Meza were school teachers who brought their authentic recipes to their restaurant. 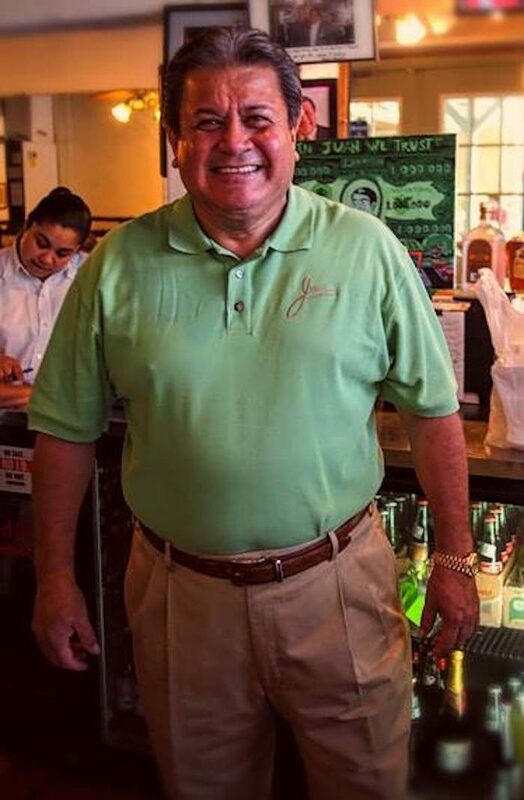 You’ll still find Juan greeting every customer in person here today. 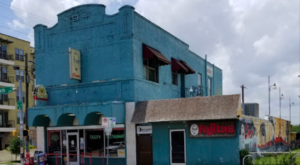 The second and third generations of the Meza family works here, too. 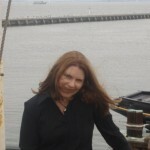 Son Juan Jr. is the operations manager, and daughter Christina handles media relations. Grandchildren pitch in, too. 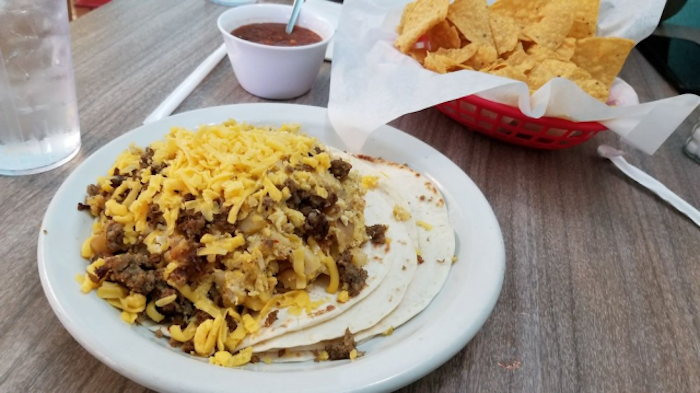 ...you’ll want to order the house specialty: The Don Juan Taco. 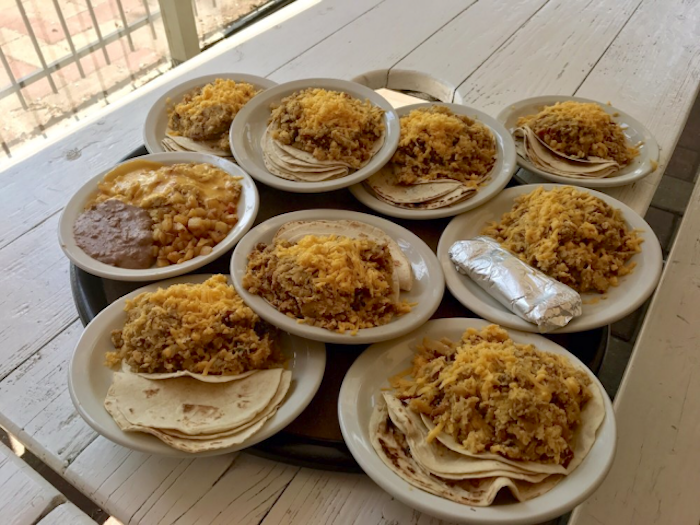 It’s a plate full of potatoes, eggs, bacon, and cheese served on a tortilla - with a few more tortillas on the side. 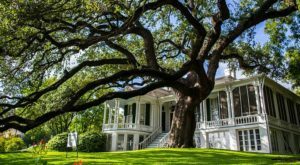 This thing is so big that it could really feed an entire family! 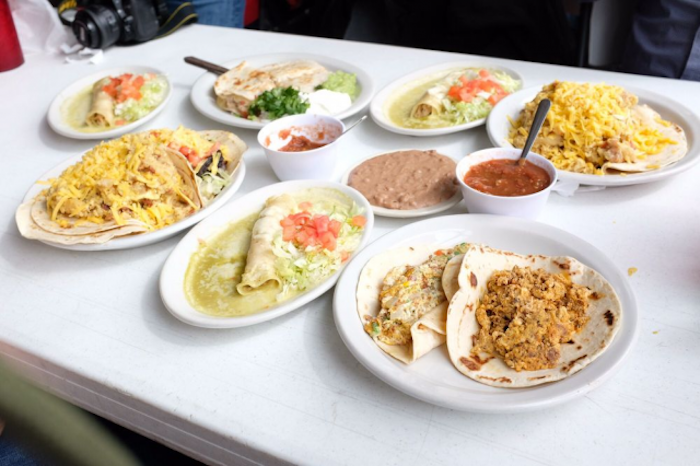 Some customers are able to pack in more than one Don Juan Taco. 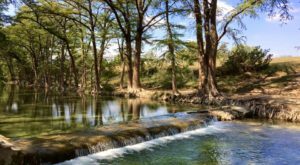 In fact, the record for number of tacos in one sitting is nine! Can you imagine eating nine of these monsters? 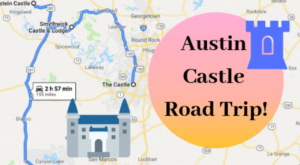 If you’re dining on a weekend, you want to get there early - the place is packed with hungry diners, and there’s always a line of people waiting to get in. 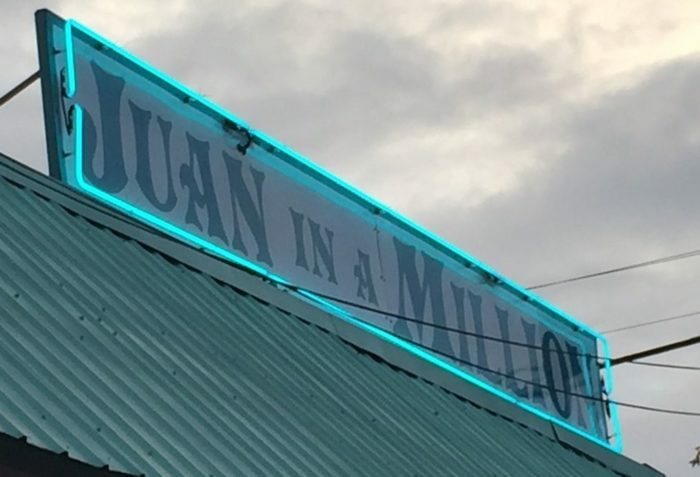 Juan In A Million is open seven days a week for breakfast and lunch, from 7 a.m. to 3 p.m.. Stop by and see if you can finish more than one Don Juan Taco. 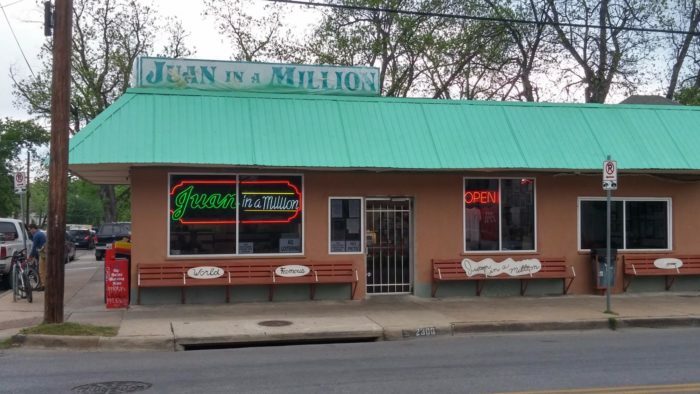 Check out Juan In A Million’s website to see a full menu and learn more about the restaurant’s history, and follow the restaurant’s Facebook page for the latest specials. 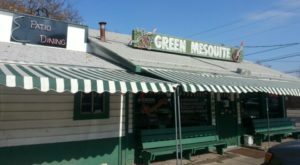 If you’re looking for more great Tex-Mex in Austin, check out this bright blue restaurant that’s been a favorite since 1950.